Should the Delhi taxpayer be bearing the cost of educating the rest of India? It’s not an unknown problem for Delhi students to not have a college to go to after completing 10+2 – cutoffs are touching 95+ like all geniuses have settled only for Delhi University. And it happens every single year. Competition is good but what happens in Delhi University every year is beyond ridiculous. 22.5% are reserved for SC/ST candidates (12150 seats) from across India. This comes to a total of 21870 seats in quota for different categories. Also, there’s additional relaxations in marks for OBC and Kashmiri Migrants. *Numbers   given above are approximate. Now students are left with 32,120 seats for which students across India gun for every single year. Yes, the major issue at hand is clearly the lack of colleges under Delhi University. The demand and supply ratio in DU is completely unrealistic. Opening new colleges can be the only long-term and stable solution for this problem. Let’s pin that – but what quick solution could AAP government give in Delhi? The new AAP govt has recently been criticized for giving 90% quota to local students in Delhi university. Critics would have been right had this statement been complete. But it is INCOMPLETE. This clarifies that the entire DU hasn’t been quota-fied, but only those colleges which are being funded by the tax money of Delhi people. Yet, it’s been alleged that AAP govt is engaging in politics of regionalism – which is far from the truth. Don’t Delhiites have a right to education for their children in lieu of the tax they pay to the government? Arguments have been made that there’re private universities available for Delhi students – which fulfill the local requirement? But have you seen the amount of fees in these private universities? Where is the child of Delhiite supposed to study who can’t afford the hefty fees of private colleges? 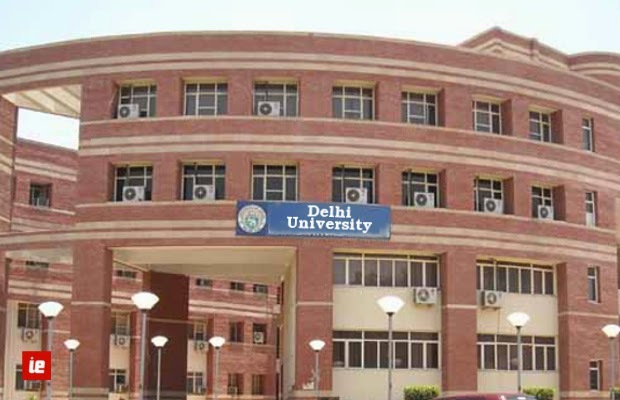 Delhi University is a national university. True, but should the people of Delhi bearing the cost for funding the teaching the students across India, when their own children are not getting admission? Does that sound fair at all? Every state university has quotas for local students because students should be able to get education locally. They should not be travelling for basic education to different states. Educational infrastructure should be robust enough to be able to accommodate the pressure of increasing population of young people. This is a flaw in planning and needs to be addressed – in all states. Close to 17,000 thousand Delhi students are expected to benefit from this measure of new AAP govt. You should also note that it’s still not much. Like established earlier in this article, 21,870 seats are already under different quotas in Delhi University. And 17,000 is still much lower than that number. Yes, it’s an important question – how is AAP policy different from regionalist suggestions that keep coming from parties like MNS and Shiv Sena. The answer is yes, they’re different. Would you ask famine-ridden Rajasthan to supply water to Delhi in the hot month of June? The question is not of a shared burden between different states of India. The question is of an already scant resource, in this case availability of affordable college-education. AAP govt hasn’t quota-fied every college in DU, but only those which get funding from Delhi government. Though, it should be noted that though this decision does provide some immediate relief to Delhi students – but should not be considered as anything pragmatic or highly commendable. I’d call it good observation / implementation on the part of Manish Sisodiya. Long-term solution could only be cultivating robust educational infrastructure in Delhi which can absorb the load of increasing population. Like 47 new courts, it’d be nice to see AAP launching new educational institutions in Delhi, which has already been long overdue. Indian Exponent: Should the Delhi taxpayer be bearing the cost of educating the rest of India?